'Tis the season for beautiful holiday music! Shania Twain and Nick Jonas have come out with a seasonal collaboration that highlights both of their amazing performance qualities. The holiday season is here and so is Nick Jonas and Shania Twain‘s and holiday collaboration, “Say All You Want For Christmas!” Fans everywhere are ready to deck the halls and play this new track! Shania and Nick’s holiday collaboration combines both artists styles and personalities. 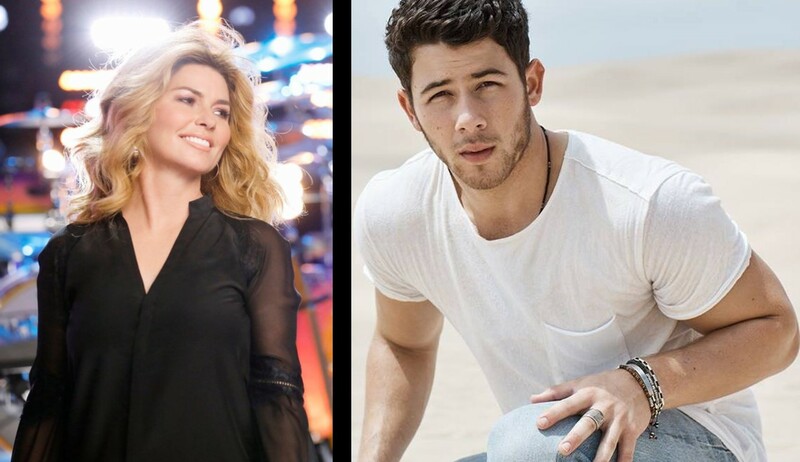 It features Shania’s harmonizing style coupled with Nick’s romantic lyrics. This duo is going to make the biggest Scrooge want to find someone to kiss under the mistletoe! Enjoy the official audio below! Enjoy this collaboration? Share this with other fans of these two stars!